Of the journey we took together. And now I must leave you for ever. We bore all our burdens together. And the hours we spent together. Now is the world so still! My little child, now go to sleep." P.S. I've tracked down the original lyrics, and an Italian translation, of Farewell, my friend. Private Robert Barnes, 1st Battalion (Airborne) The Border Regiment, Service No 14641710, was the son of John Barnes and Margaret Barnes, Birks Road, Cleator Moor, Cumberland (now Cumbria). 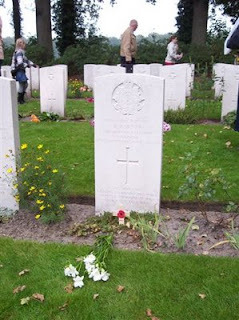 He is buried in Oosterbbek War Cemetery, Netherlands (Grave Ref No: 30.C.8). At the time of his death during WW2, Robert was serving with the 1st Battalion (Airborne) of the Border Regiment. The Battalion were glider-borne troops, forming part of the 1st Airborne Division. 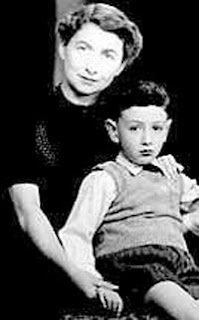 Robert died during Operation Market Garden (the airborne part of the Operation being codenamed 'Market') in September 1944. Operation Market Garden was a plan to seize and hold the bridges in the Netherlands with the aim of invading and defeating Germany by the end of 1944. It proved to be one of the most ferocious battles of the Second World War. Allied airborne troops in the Oosterbeek / Arnhem area of the Netherlands, including 1st Border, fought one of the defining - and ultimately losing - battles of the Second World War. The closest bridge to Germany, Arnhem, eventually proved to be 'A Bridge Too Far'.